We’ve announced quite a few Dark Horse art and coloring books over the last few years as the publisher continues to stake its claim to both formats, and today we’ve got the exclusive reveal of the next book on the docket: The Art of Trollhunters, exploring Guillermo Del Toro’s Emmy Award-winning DreamWorks animated series. This sizable hardcover includes a treasure trove of concept art compiled by writer Jerry Schmitz, with creator commentary from del Toro and other creators behind the show. 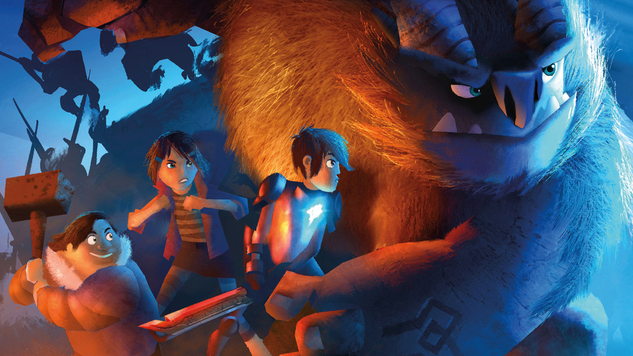 The Art of Trollhunters also includes a foreword by del Toro and showrunner Rodrigo Blaas, and an afterword by Trollhunters voice actor Mark Hamill. If this isn’t enough series lore for you, Dark Horse previously announced Trollhunters: Tales of Arcadia—The Felled, an official comic tie-in to the series. The Art of Trollhunters goes on sale February 9th, 2019, and is available for preorder now. Check out the official first look at the troll-tastic cover below.